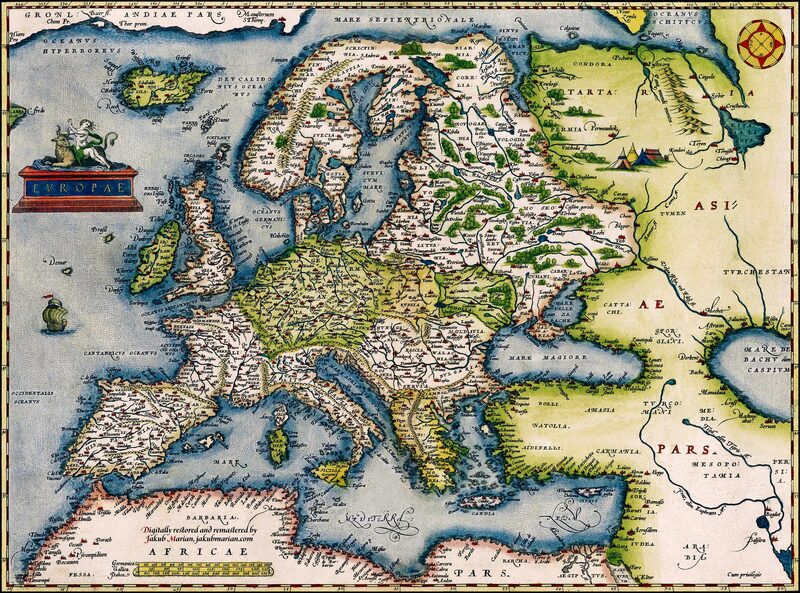 The map below is a 1572 copy of a map of Europe created by Abraham Ortelius in 1571. I have digitally restored and remastered the map to show it in all its glory; you can see the original here. This map is available in print in various styles.You will directly support creation of new maps by buying a copy.